The York Rite in Freemasonry actually refers to three cooperative groups that confer a total of ten degrees in the United States. There are four Royal Arch degrees, three Cryptic Mason degrees, and three Chivalric orders. You must already be a Master Mason before you can join the York Rite. The York Rite offers additional degrees to Freemasons. They’re not more important than the three degrees of the Masonic lodge. They add more knowledge, teach more lessons, and provide more opportunities for friendships and participation outside the lodge. Mark Master: First appeared in England in 1769 and is probably older. It concerns the workmen building King Solomon’s Temple. The degree of Mark Master teaches the candidate the value of workmanship, honesty, and charity. Past Master: A Mason who has served as Worshipful Master of a lodge is entitled to the title of Past Master. Yet, in the York Rite system, the Past Master is a symbolic degree, and the candidate isn’t actually installed as the Master of a lodge. Most Excellent Master: Deals with the completion of Solomon’s Temple. Royal Arch: The completion of the story started in the first three lodge degrees, about the search for secrets that were once lost. Royal Master: Returns to the days before Solomon’s Temple was completed. Select Master: Partially concerns the deposit of the secrets of the Temple into their hidden location in the crypt. Super-Excellent Master: Concerns the period long after the destruction of Solomon’s Temple and the exodus of the Hebrews. Thrice Illustrious Master: When the primary officer of a Cryptic Council is installed in his elected position, some U.S. jurisdictions confer upon him the degree of Thrice Illustrious Master, sometimes referred to as the Order of the Silver Trowel. The Illustrious Order of the Red Cross: The story told in the ritual for the Red Cross acts as a link between the Cryptic degrees and the ones that follow, and bridges the period between the Old and New Testaments. Order of Malta: The story of this order begins by making the candidate a Knight of St. Paul or the Mediterranean Pass. 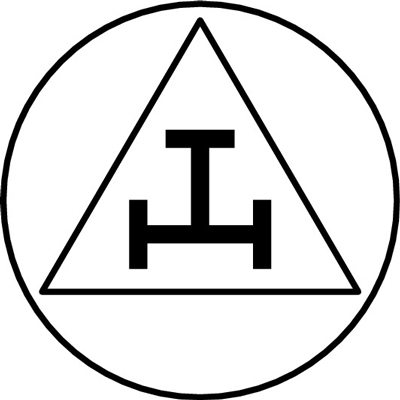 Order of the Temple: Dubs the Mason a Knight Templar.